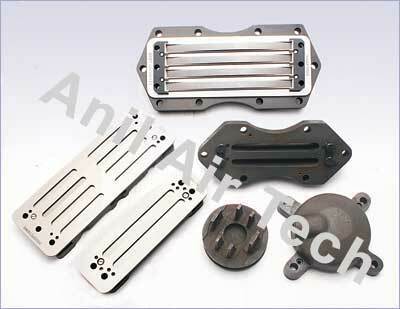 These are two types of channel valves, Rectangular & Round valves. 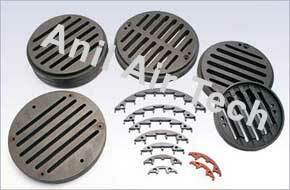 Both type of valves are used in reciprocating type compressors. 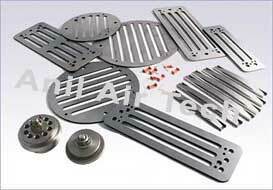 These valves are available for Lubricated & Non-lubricated type of units. 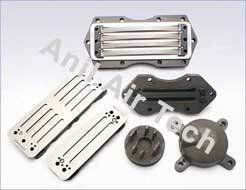 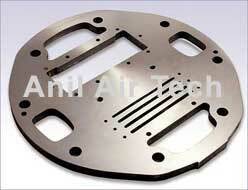 Exclusive designs of Valve seat, Stop plate, Plate seat so that to maximum flow is utilized & perfect sealing ensured. 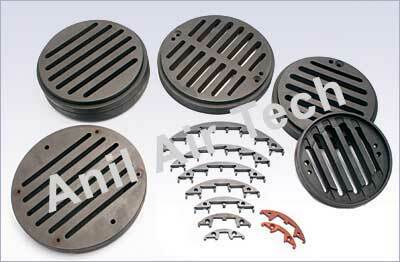 Holder guide (metallic) are highest quality machined with OEM tolerance which can significantly improve life of the valves. 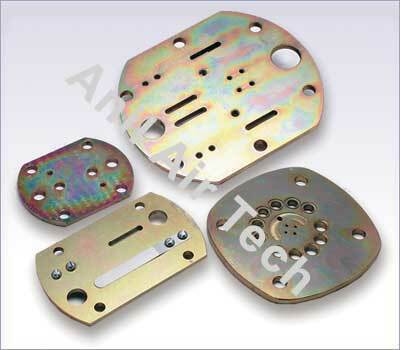 Plate seat are of stainless steel, heat treated, perfectly micro finished on both the side and lapped. Concentric valves are ready for shipment. 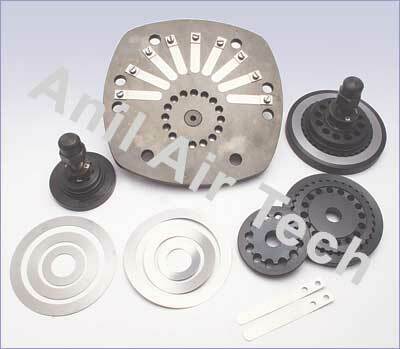 Valve seat , Stop plate and Valve bolts are matching with OEM specifications. 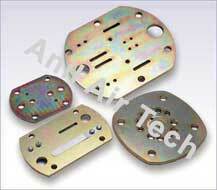 Valve plates are properly heat treated & Micro finished for leak proof valve assembly. Spring plates , Finger valves & spacer plates are also heat treated, ground and engineered to give best operating efficiency against High pressure & high temperature of unit.